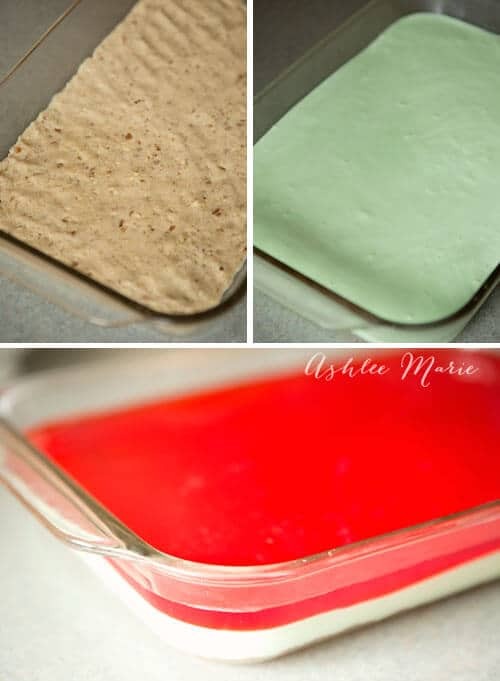 So my kids actually call this Christmas Jello – cause it’s green and red. and YES I do make it for Christmas too. 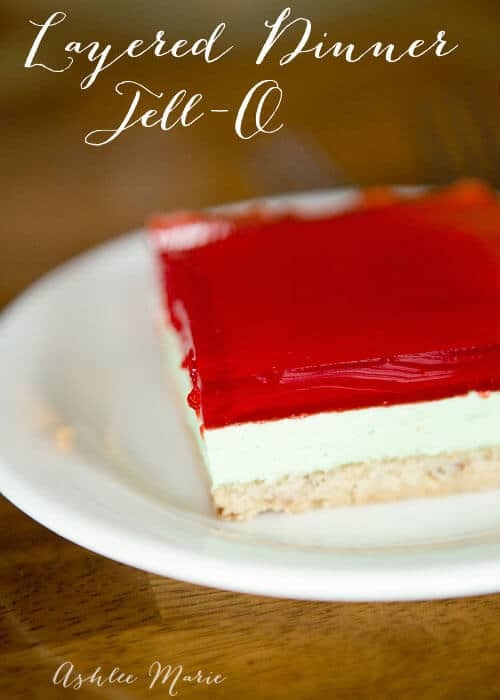 I also change up the green layer to raspberry and make it for Valentines day as well… But this classic that my mom used to make is still a favorite at our house! 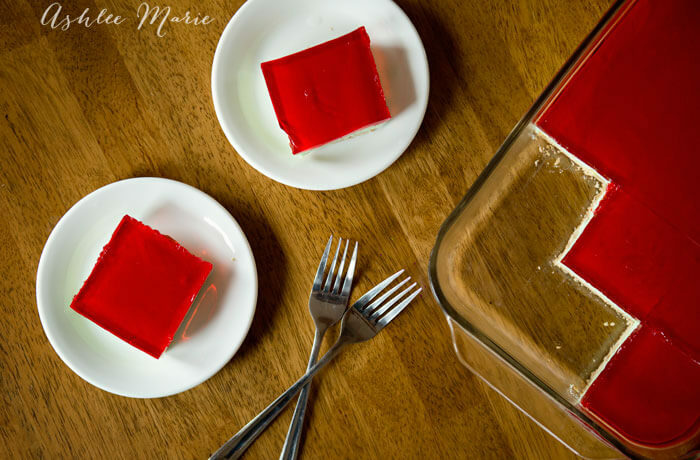 Dissolve Jell-O into boiling water let cool to room temp. 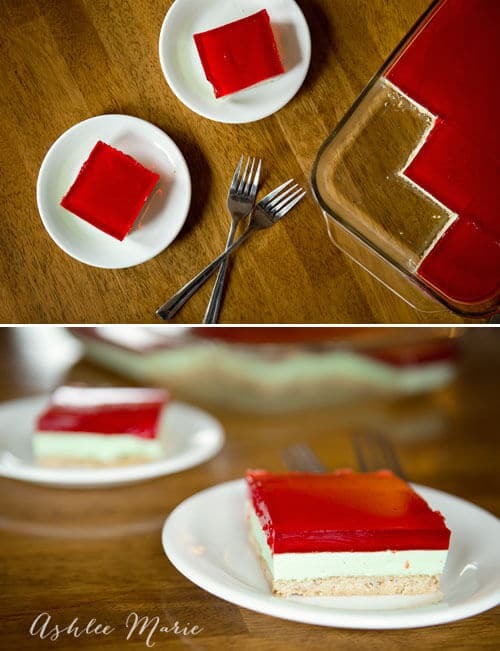 To cool the Jello quickly - Boil only half the water and dissolve the jello, then add the rest of the water in ice form, stirring until the ice is dissolved it should be room temperature.